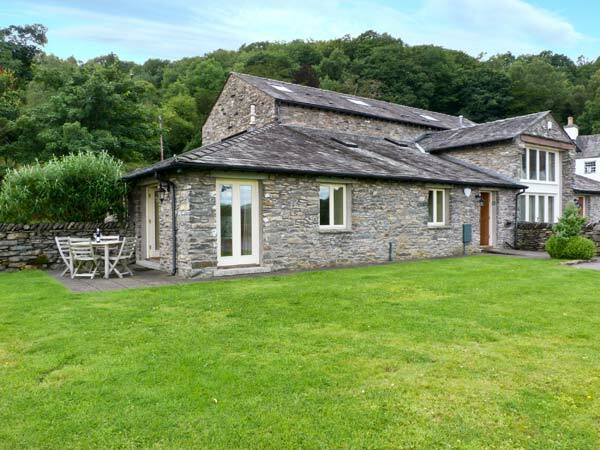 Winster Fields is a delightful, semi-deached cottage set in a quiet location, five miles from Windermere in the Lake District National Park. With three bedrooms set over three floors, one ground floor double, one first floor twin and one second floor twin, this cottage can sleep six people. The cottage includes two bathrooms and an open plan living area with kitchen, dining area and sitting area. Outside is off road parking for three cars, a private patio with furniture, and shared lawns. 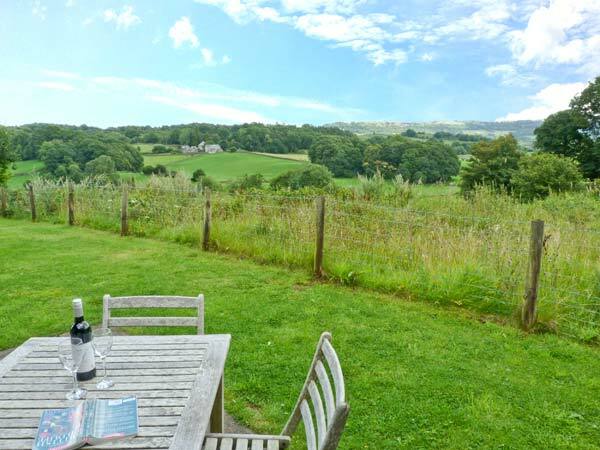 Winster Fields sits in peaceful countryside, providing wonderful views, in a fantastic location for discovering the Lake District National Park. Over three floors. Three bedrooms with TV: 1 x ground floor king-size double, 1 x twin, 1 x second floor twin. Ground floor bathroom with bath, shower over, basin and WC. Bathroom with bath, shower over, basin and WC. Open plan living area with kitchen, dining area and sitting area. Oil central heating. Electric oven and hob, microwave, fridge, freezer, washer/dryer, dishwasher, 4 x TVs with FreeSat, DVD, iPod dock, WiFi. Fuel and power inc. in rent. Bed linen and towels inc. in rent. Travel cot and highchair (please bring own cot mattress and bedding). Off road parking for 3 cars. Private patio with furniture and charcoal BBQ, shared use of lawned gardens. Sorry, no pets and no smoking. Shop and pub 1.5 miles. Please be aware of narrow roads near to property: may not be suitable for nervous drivers and Sat Nav may not work here.